This project provides the bench command-line tool, which is a more powerful alternative to the time command. 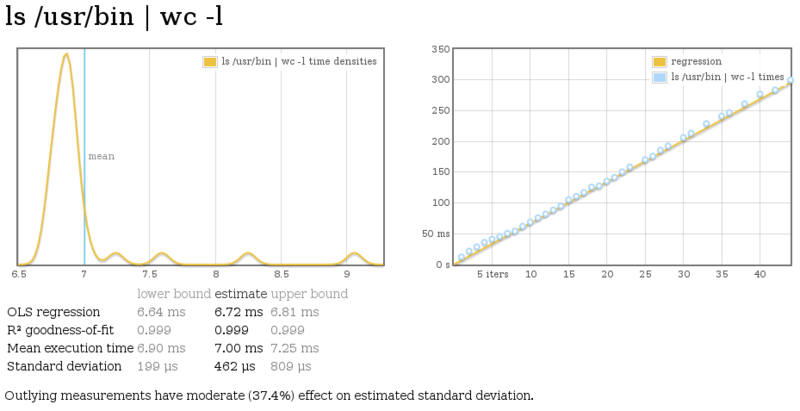 Use bench to benchmark a command using Haskell’s criterion library. This is a pretty simple utility which just wraps criterion in a command-line tool, so I don’t expect this project to change much. However, only time will tell.